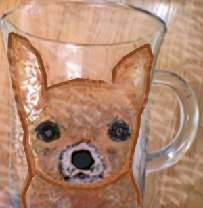 We have a great dog lover gift for all occasions for the dog lover who is a coffee lover, too. 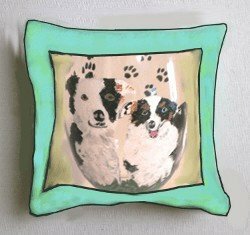 A great combination is a dog mug hand painted with the face of your favorite pooch as they make great dog lover gifts . 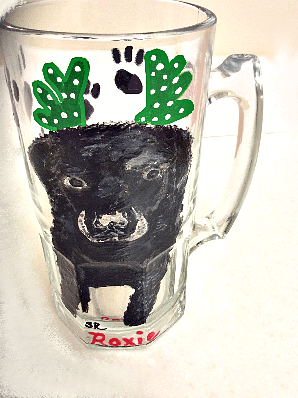 It is hard to come up with gifts that have never been given before and our dog mugs will surely surprise! 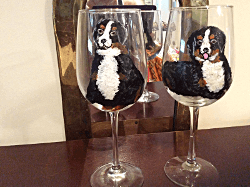 Clearly Susan hand paints in glass or white ceramic. You can specify your choice in the Special Request Box. Our dogs are our constant companions and they are very loyal, tolerant, dedicated, and affectionate. What a great way to capture their wonderful face for forever. 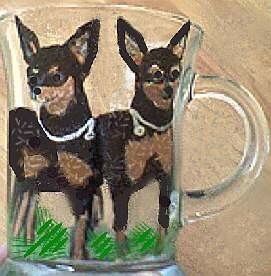 Email us a picture if you like so that we can get the exact details of colors and markings. 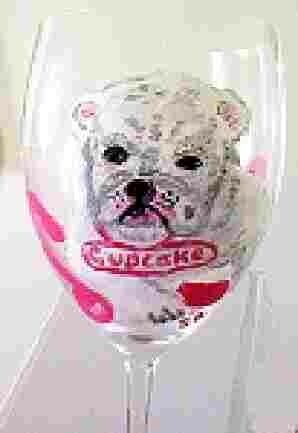 We also hand paint any dog portraits on plates, platters, wine glasses and Christmas Ornaments.